ARLINGTON, Va. — Elvira Chiccarelli grew up during the Vietnam War and felt a call to serve her country. Her mother had been a cadet nurse in World War II, and in 1975 Chiccarelli, a dentist, joined the Air Force. But when she reported for duty, her commanding officer told her that he did not want women working there and assigned her to an auxiliary unit. Army National Guard Chief Warrant Officer 4 Rosemary Masters, left, listens to one of the speakers. On Saturday, watching the celebration for the 20th anniversary of the Women in Military Service for America Memorial, the retired lieutenant colonel's eyes got misty. "We've touched every kind of service - medical, dental, computers, flying," said Chiccarelli, 67, who had traveled from Panama City Beach, Florida, to attend with her daughter, who is in the Air Force and shares the same name. "Any place they needed people, women have stepped forward and demanded to give our talents to the country." 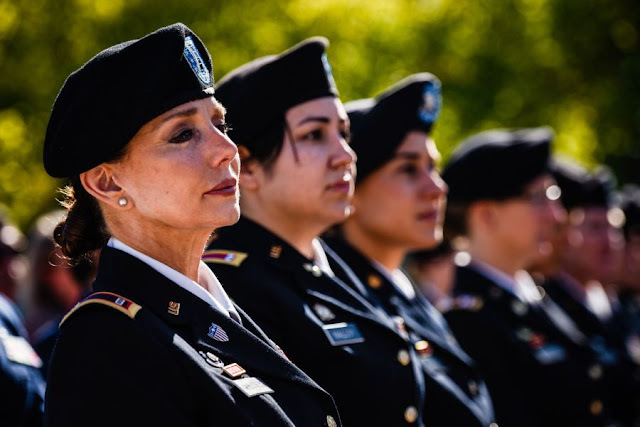 Women have been enlisting in the U.S. Armed Forces since 1917, but it wasn't until 1997 that a memorial was erected for them. The arched semicircle and reflecting pool at the top of the road that leads to Arlington National Cemetery is still the only major national memorial honoring the 3 million women who have served. Mary Walker was born on November 26, 1832, in Oswego, New York. 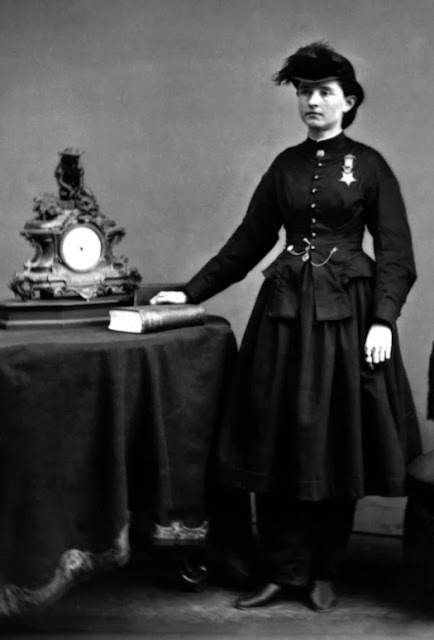 She graduated from Syracuse Medical College and, while serving as an assistant surgeon during the Civil War, was captured by the Confederate army. She was awarded a Medal of Honor for her service, and went on to lecture on women's rights, dress reform and suffrage. Walker died in Oswego in 1919.